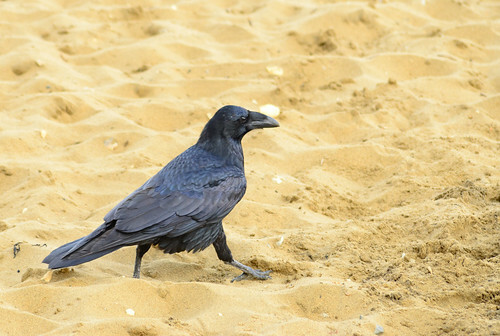 We took our annual holiday two years running at Shanklin on the Isle of Wight, and one thing I noticed during the first visit was that there were ravens on the cliff face behind the beach at Shanklin. As I didn’t manage to take any close-up photographs of them on the first visit I resolved to try a bit harder the second time around. 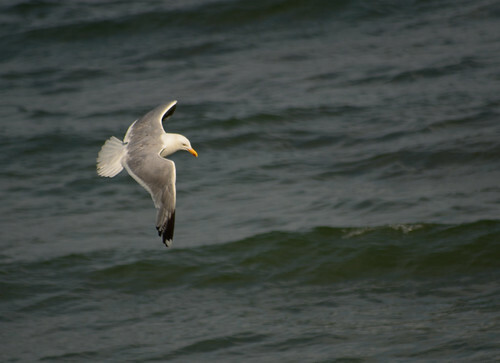 I like herring gulls, their shrieking call is reminiscent of fun-filled childhood trips to the seaside. And it makes me laugh how easily they overcome their natural fear of humans and come right up close to try to scrounge a chip. He strolled on past with a purposeful gait and what struck me was the size of him. Ravens are huge! I’d read before that they are the size of buzzards and seeing one this close it’s easy to see they really are. So for comparison, an obliging rook posed in the background, and even though the rook is 5-10m further away the size difference is stark. 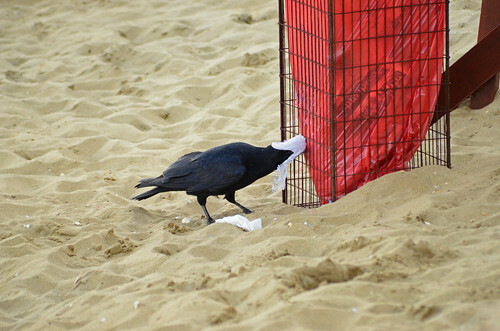 There’s no confusing this chap for any other type of corvid! When I left it was still emptying the bin and was only distracted once when a large group of noisy folk walked right past, but he just hopped away a few metres and waited for them to pass before burying his head inside the bin once more to continue the meal. 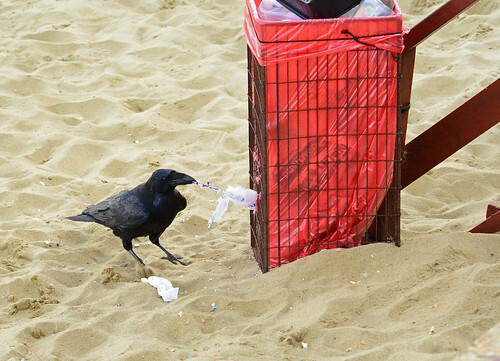 I really like this series of shots because it shows a spectacular and enigmatic bird being incredibly resourceful, and it’s the first time I manage to get really close to a raven. Some years ago I went kayaking in the Johnson Strait between British Columbia and the Canadian mainland to see orcas, and while I was there I learnt a bit about the indigenous people of that region, the Haida indians. As with many indigenous folk, they had a conservation minded and mystical relationship with their environment because their very survival depended entirely on the forests and oceans and the inhabitants thereof. And one of the creatures they held in particular reverence was the raven. A modern day Haida called Bill Reid has written a book consisting of a series of short stories based around the orca, the eagle, the bear and of course, the raven, all from Haida legend going back centuries to a time before Europeans intervened and ruined everything. If you ever stumble across a copy buy it and enjoy it, it’s called ‘The Raven Steals the Light’ (ISBN 1-55054-481-0). 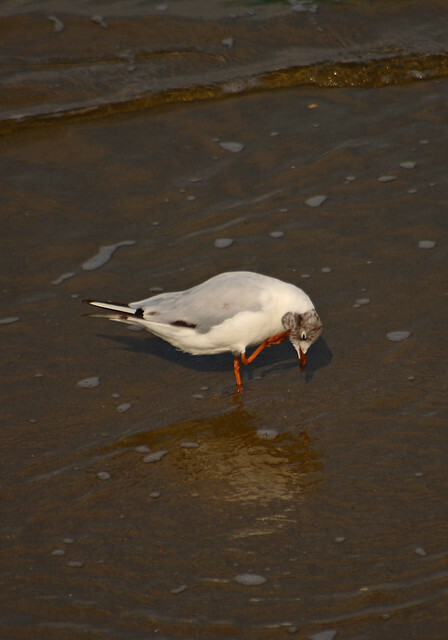 This entry was posted in Beach walks, Birds, Coastal walk, Gulls, Isle of Wight, Ornithology, Seabirds, UK wildlife and tagged black headed gull, British Columbia, Corvus corax, Haida, herring gull, Johnson Strait, raven, The Raven Steals the Light. Bookmark the permalink. Sounds like a great family holiday Finn, probably a distant memory by now! 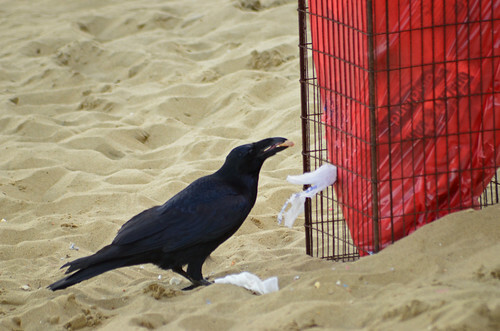 It was interesting to see Ravens behaving like other smaller and more common corvids- I see them here around people-frequented areas, but they are more wary and tend to avoid close contact. Perhaps your rubbish-picker was a young one? 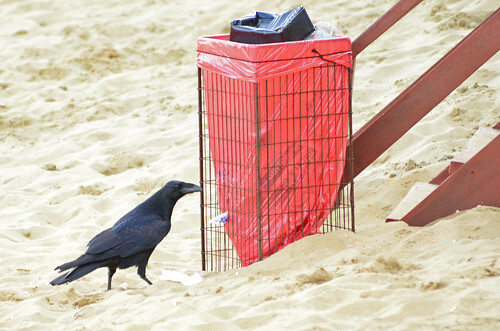 It is getting distant, but that raven left an impression. He was a real character, I don’t know if he was a youngster though, but I reckon down there they get very accustomed to human presence and I suspect they’re never really troubled by people. 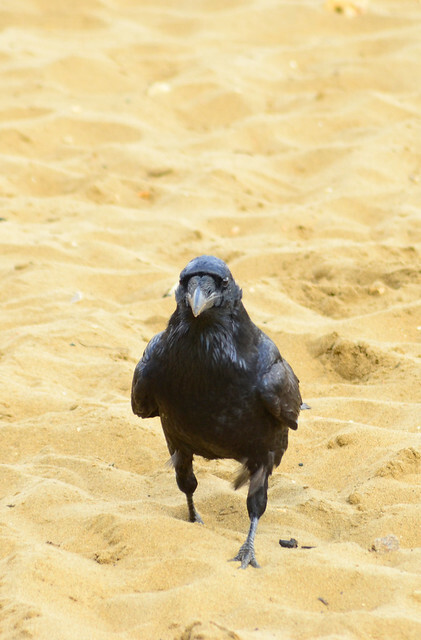 You appear to be seriously lacking comments, unusual for your blog but I thought just pop by and catch up and yes, aren’t the Ravens fascinating. Like other corvidae they are widely distributed and are increasing in numbers. I’ve been in Cornwall myself recently for my annual break and down there, they were also feeding on the shore, well the bed of the local estuary to be precise. If you’re round my way, twenty to thirty in the sky at once is not an unusual sight up on the local downs. It’s been too long since I checked The Naturephile and I came here today and realised I missed not just one, but three comments from you. So first of all, sincere apologies for being slack to the point of rudeness, and secondly thank you for the comments. And thirdly, to reply: it’s really good that the ravens are increasing in numbers here in the UK and I would love to see them in the numbers you do simultaneously in the air! I never see them here in Cambridge so it’s a treat when I do spy one. No worries Finn, can you send me your email address as I’d like to send you an opportunity to network with me further, should you be interested in doing so. I’ll pop by again later on as I’m off out to conduct the BTO led Golden Plover and Lapwing surveys up on the downs. 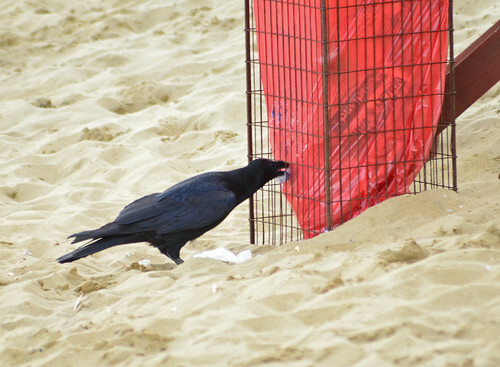 We have Australian ravens here and they are awesomely intelligent birds. They nest on the property. 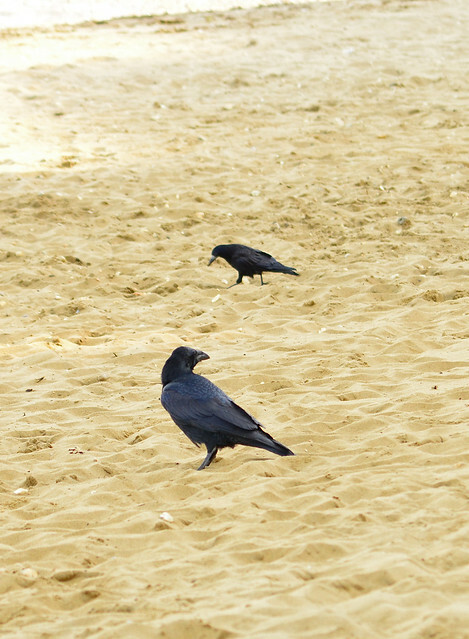 We call them crows but they are really ravens. I got to hear that gull cry today. We have small gulls in Australia, not like your big gulls but down here in Tassie we get those big Southern Gulls and that sound that you hear on television shows and movies with the seaside in them was what I got to hear today when we were walking the dogs in the city and there was a lone gull sitting on a pylon near the river. Lovely sound and it automatically makes me think of the sea. We were in IoW recently as well. It was a family occasion so I deliberately didn’t take a serious camera and I only posted 10 mobile snaps here: https://www.flickr.com/photos/paul_seligman_cardiff/sets/72157647615225342/show – nothing very special in nature terms, just some scenery and fungi (after first two people shots). Not photo’ed but saw lots of ravens and rooks. I saw green woodpecker from our bed flying past the window! And lots of migrants like whinchats, wheatear, pipits, spotted flycatcher and various warblers. I went on an IoW Ornithological group walk at Brading Marsh and two dozen or more yellow wagtails around cattle were the highlight of 56 species seen. Hello Paul, thanks for the link. 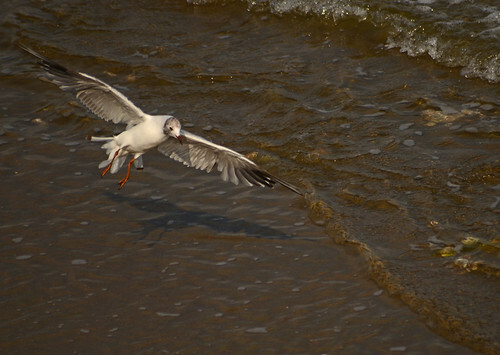 I loved the wildlife on the IoW and it sounds like you had a fine selection of migratory bbirds when you were there. I haven’t seen a yellow wagtail here in Cambridge for several years now, so it’s good to know there are still some places in the UK where they appear.